Hello, I guess almost everyone is aware that Facebook is no more allowing you to just open an account anymore, cos of SCAMMERS... 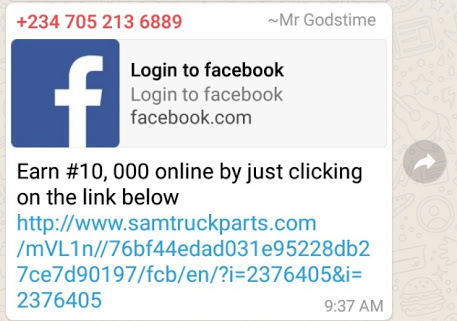 So here is a new method this SCAMMERS are using now, to get access into your account. Avoid clicking such links for your own good.